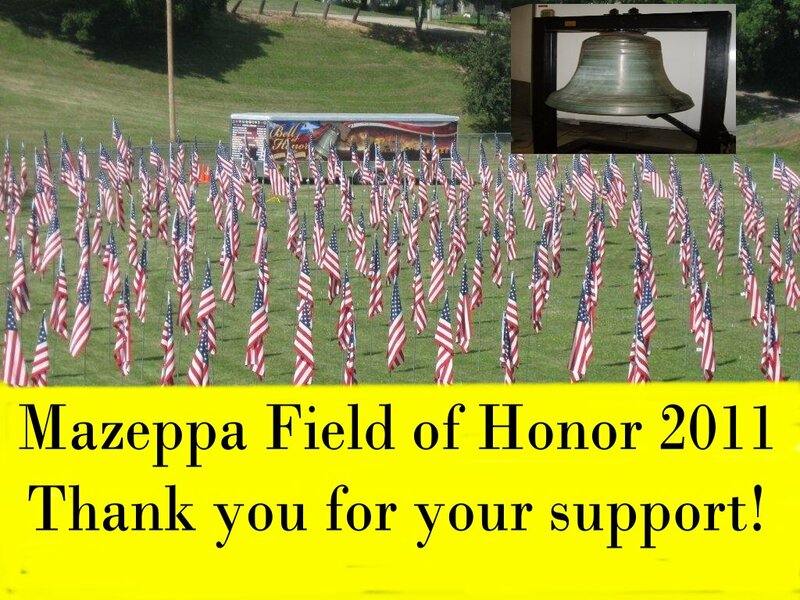 The Mazeppa Veterans Honor Guard presents their Field of Honor flag display during Mazeppa Daze at the Jaycee's ball park. You may dedicate a flag to a special individual that you want to honor. By attending the opening ceremony, you will hear your dedication read, and then you can have a veteran place the flag on the field or you can accompany a veteran in placing the flag to its location. Flags can be dedicated in memory of someone or in honor of someone. Flags do not have to be dedicated to just military personnel, they can be dedicated to anyone.